The Lundby Hive: Happy St. Urho's Day! I grew up in a Finnish family in a community of many Finnish people. So, every year when March 16th came around, we would wear purple and green clothes to school and sometimes we would wear pins that said "100% Finn", "Sisu", "Finn Power" or the blue and white Finnish flag. The school cafeteria would even serve Finnish flat bread and mojakka (moy-yuh-kah) for lunch. I also have a memory of the math teacher, Mr. Miller dressed in purple and green, entertaining us with a St. Urho's Day jig... It was a fun day in Sebeka, MN - even if we weren't the home of the original statue of St. Urho. 9 miles north, the city of Menahga had the honor. I grew up exactly 10 miles from each town. I feel like I grew up right in the heart of St. Urho-land. Here are a couple of pictures (that I found on SaintUrho.com) of the statue in Menahga, MN. 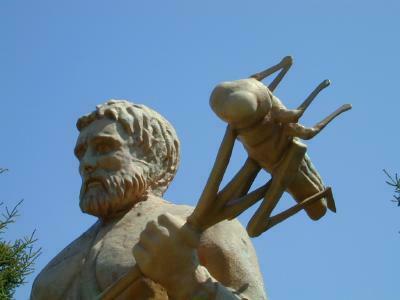 The legend says that St. Urho chased all of the grasshoppers out of Finland and saved the grape crop. Thus the purple and green color theme. And uh... thus, the giant pitch fork with a grasshopper on it. I haven't paid much attention to the holiday now that I live in the Pacific Northwest, but as my kids get older I find that I want them to know about the experiences and culture that was a part of my life growing up in Minnesota. I heard a rumor about a St. Urho's Day parade in nearby Hood River, OR... I was intrigued, I even considered pulling the kids out of school (except they've already had a gazillion sick days) but, I found out that the tradition was discontinued two years ago. I guess it's not a rumor, it's true, they actually did have a parade, complete with the changing of the guard, purple and green clothes, etc... and my husband saw it one year because the parade route went right by his office. I sort of laughed about it, but now wish I could've seen it and even more, shared the experience with my kids. Oh well, we'll be sure to make a trip to the famous St. Urho statue on our next visit to Minnesota and of course, we'll be sure to take lots of pictures. So, I put in a call to my mom... "uh mom, how do you make makkara mojakka anyways?" Now, if only I knew how to make flat bread! 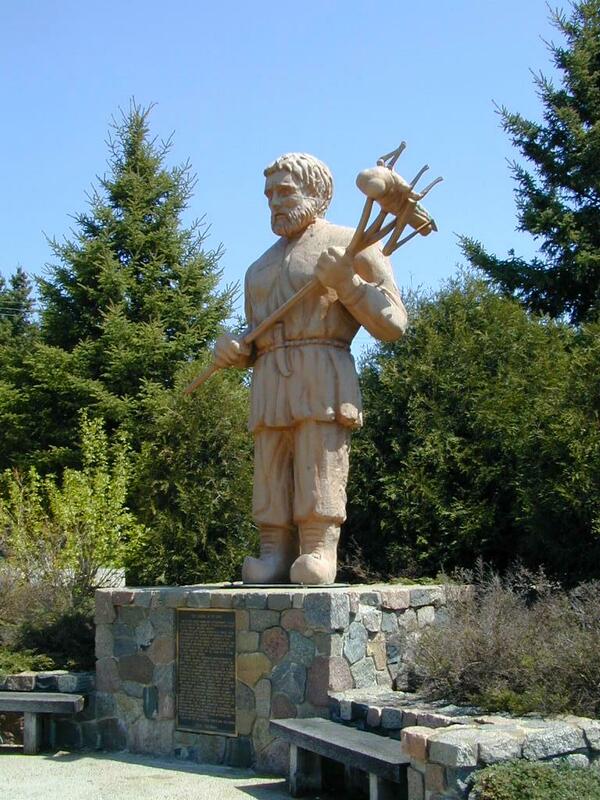 For more St. Urho info, here are a few links that I stumbled upon.